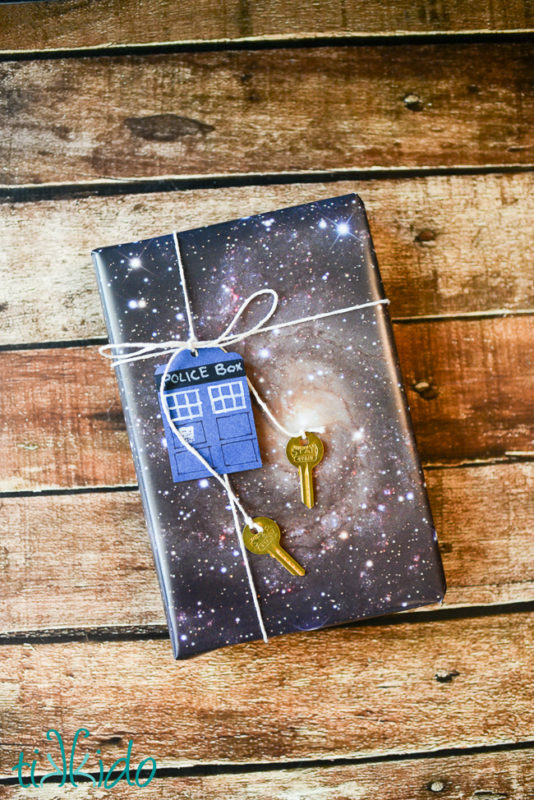 What was your first experience with Doctor Who? Was it the classics or the new? Was it with a parent or best friend? I’m sure we all have stories of when we first saw one of our most beloved TV shows. If it wasn’t Doctor Who, what was it? I very distinctly remember seeing it for the first time on the Sci Fi Channel (before they rebranded to SyFy) with my dad flicking through channels. He had been watching the very first episode and when I asked him what it was, he just said it was some cheesy scifi show and switched the channel. I didn’t re-discover the show until I was living in England some 3 years later. I didn’t realize how much I had been missing. Donna was the companion and I found out that we were on the 2nd Doctor of the new series and I felt like I had come late to the party. Once I went down the rabbit hole, there was no going back. 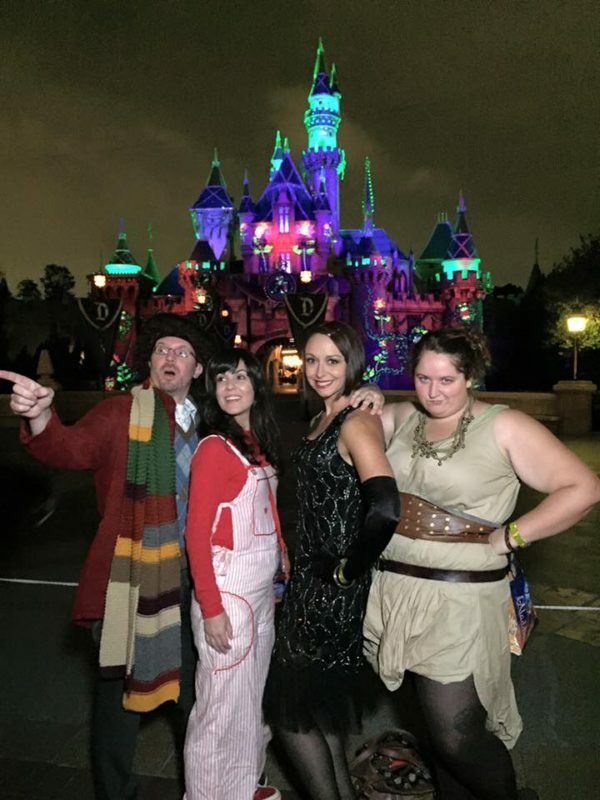 I found that there was an entirely different set of Doctors before this and I had so much to catch up on! The thing is though, being late to the party can sometimes be a good thing. There’s like this whole treasure trove of things to discover. It’s like falling in love with The Beatles ‘Let it Be’ and realizing that there is an ENTIRE back catalogue of musical era’s to discover. Pretty epic right? Okay, so back to Dr. Who. 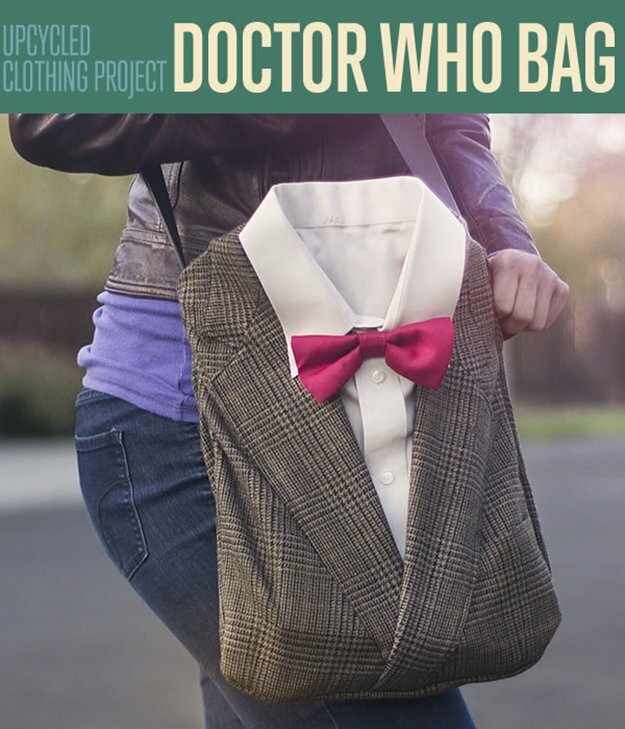 What kind of crafter would I be if I didn’t give you a list of Doctor Who Crafts? 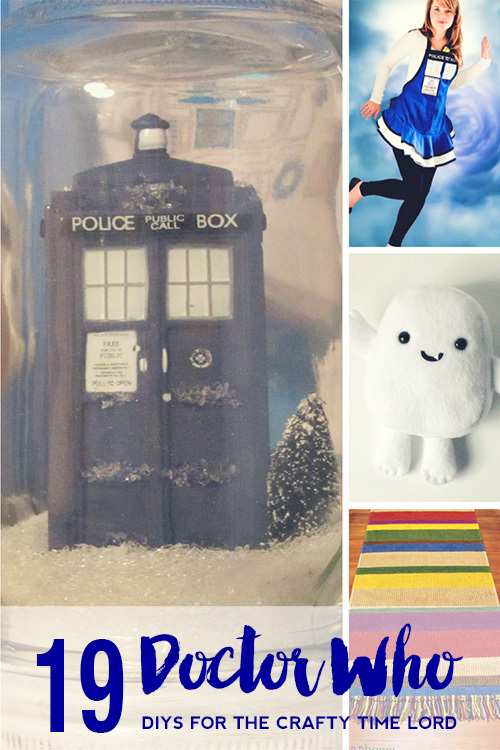 Here are 19 Doctor Who Crafts for you and your companions to make. Ya’ll know I love me some perler beads. 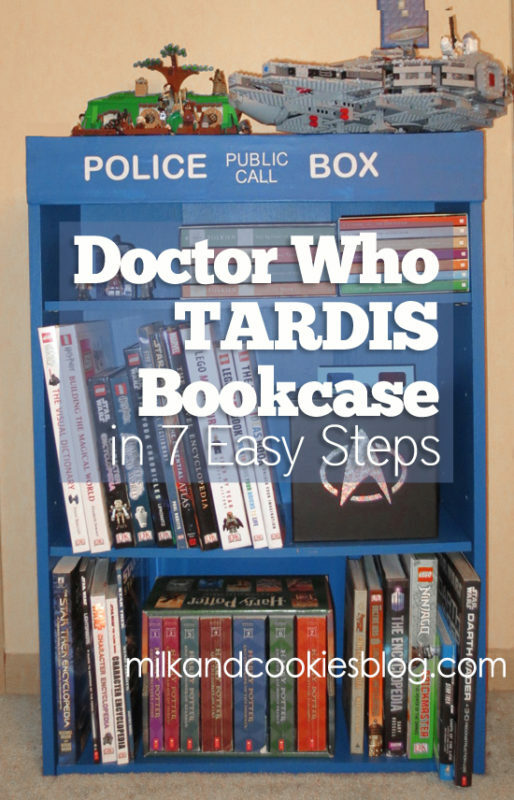 How cute is this 3D tardis project from KoyotiJess? 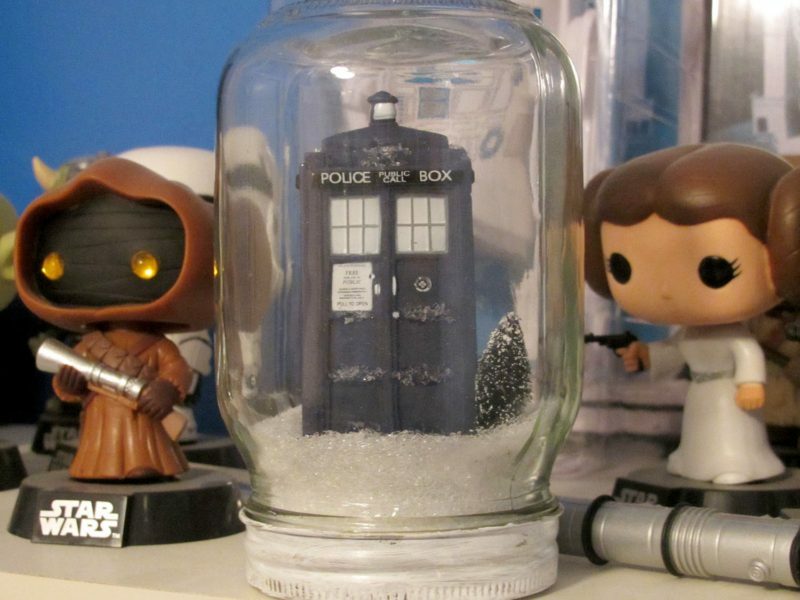 This snow globe from geekwithcurves.com is perfect for some seasonal decor or just to put on your desk! 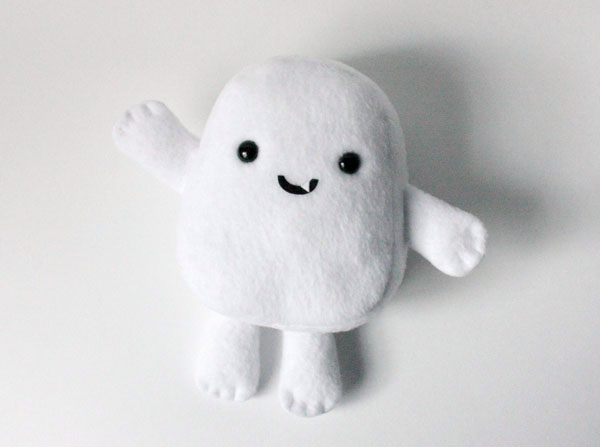 Yes, I know Adipose is fat, but look at it! Just look at it! Okay, cute right! Don’t blink. Don’t ever blink. Blink, and you’re dead…. 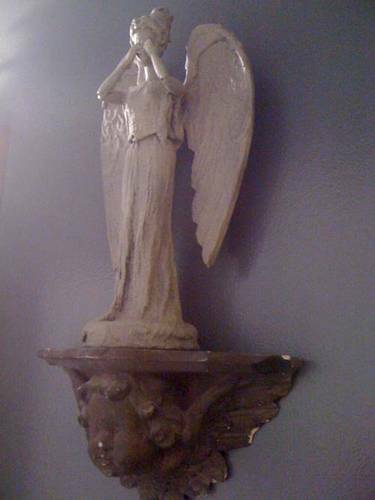 Freak out your room mate (who is also into Doctor Who) with this DIY Weeping Angel. 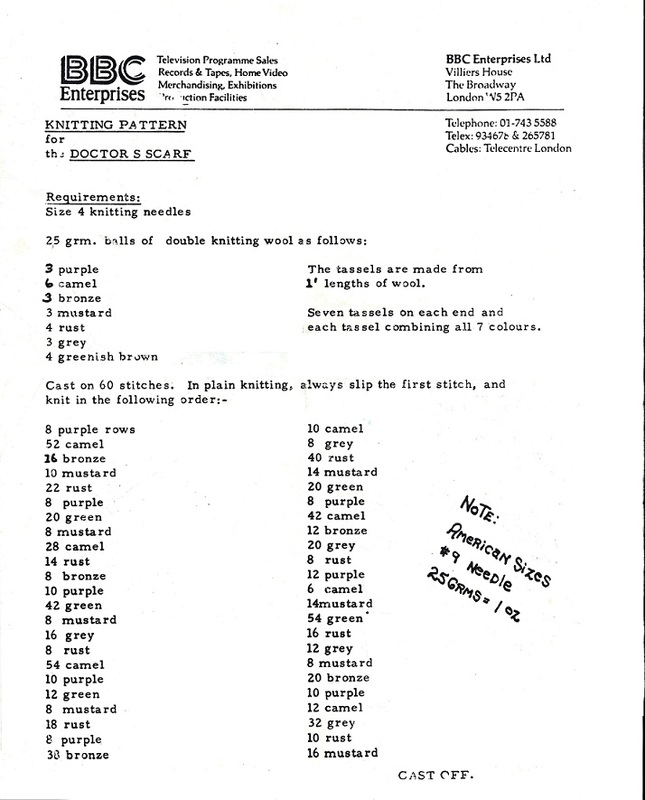 The story of the Tom Baker’s scarf is pretty awesome. 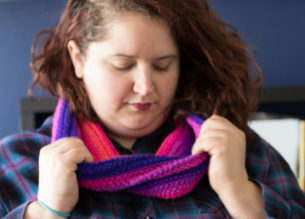 It goes that the show’s producers gave their costume designer a bunch of yarn to experiment with colors and things for his scarf but instead of making different options, she made one big long ICONIC scarf. Pretty awesome right? 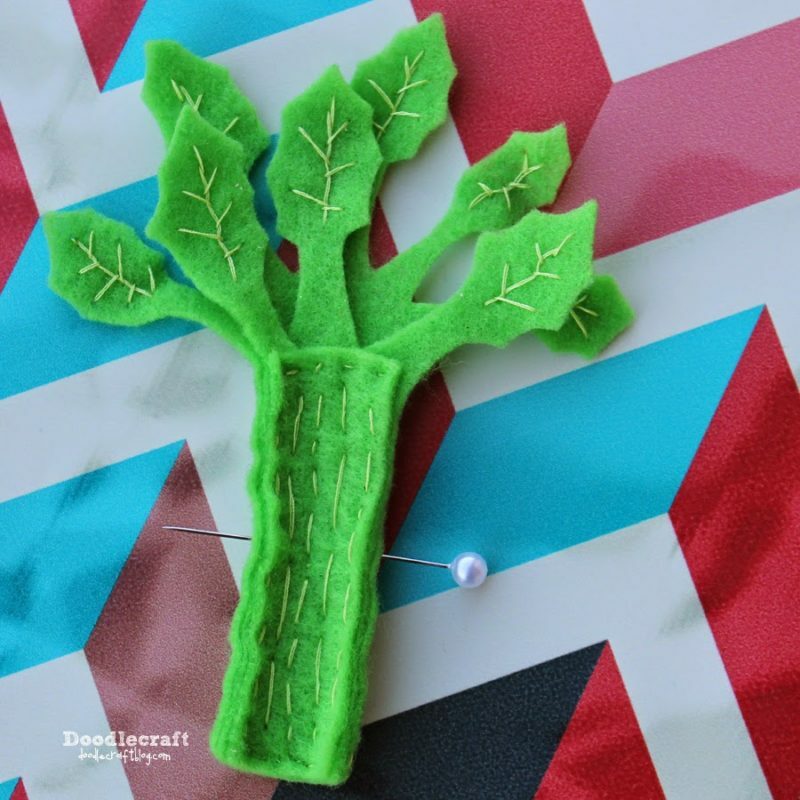 Make your own with this pattern. 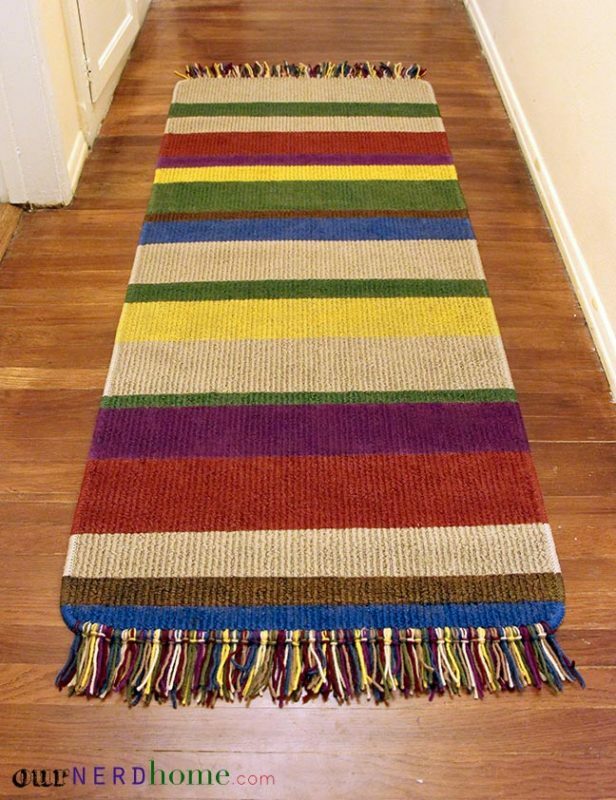 And since we’re talking about Tom Baker, check out this fun rug from OurNerdHome.com. There’s not really a tutorial listed for this guy, but it looks like something you could accomplish in an hour or so with a cheap lamp from Ikea. Maybe if you used watercolors for the blue it’d look even cooler and splotchy in the light. 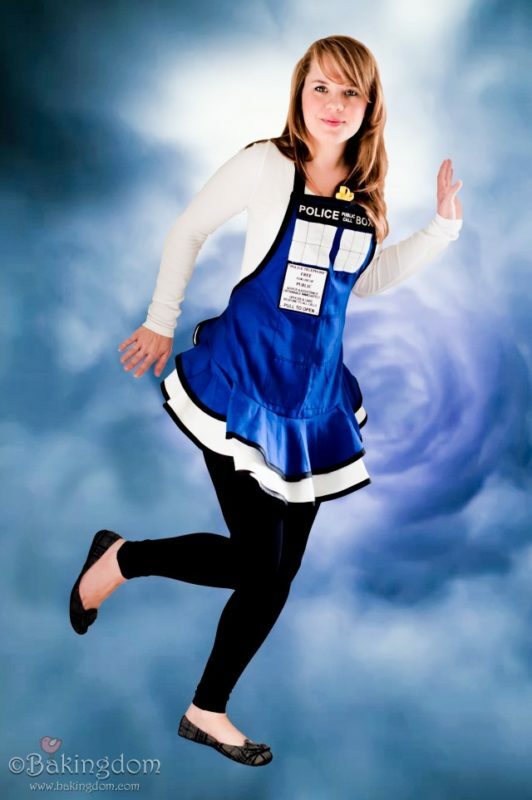 Bake in style with this DIY Tardis Apron from Bakingdom.com! You can eat more while wearing it right? 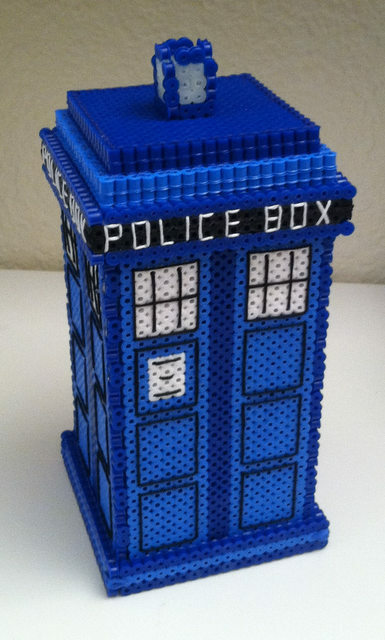 Because the tardis is bigger on the inside. Right? More cookies? 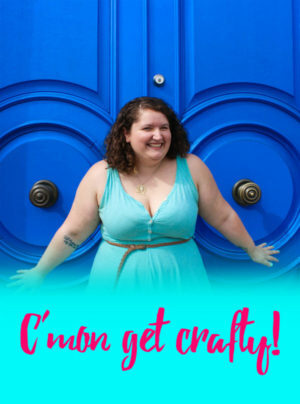 Also, Darla from Bakingdom.com is probably my spirit animal for the day. Just sayin. Geeky and classy. 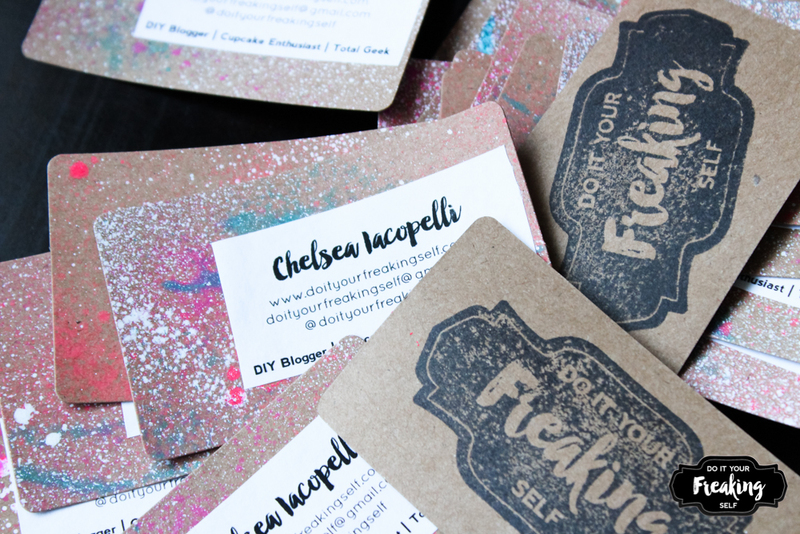 If you’re trying to be a subversive geek, this DIY is for you! 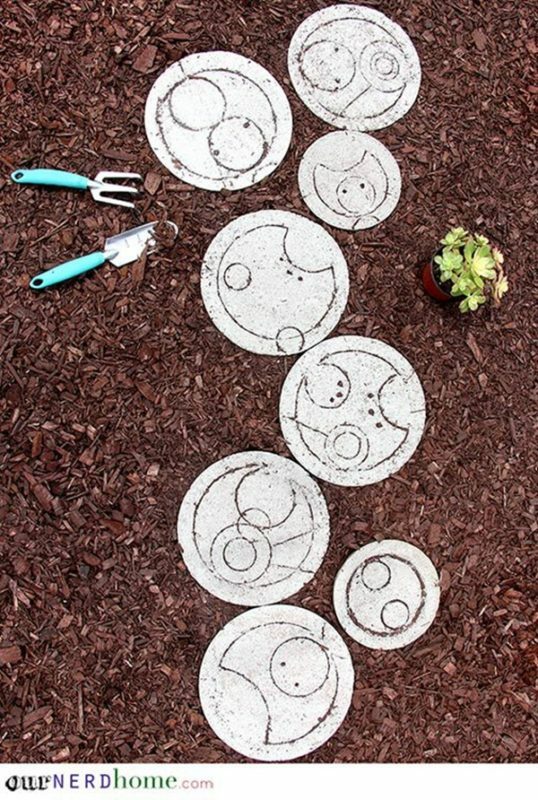 Because let’s be honest here, we’re all waiting for a mad man in a box to land in our gardens. 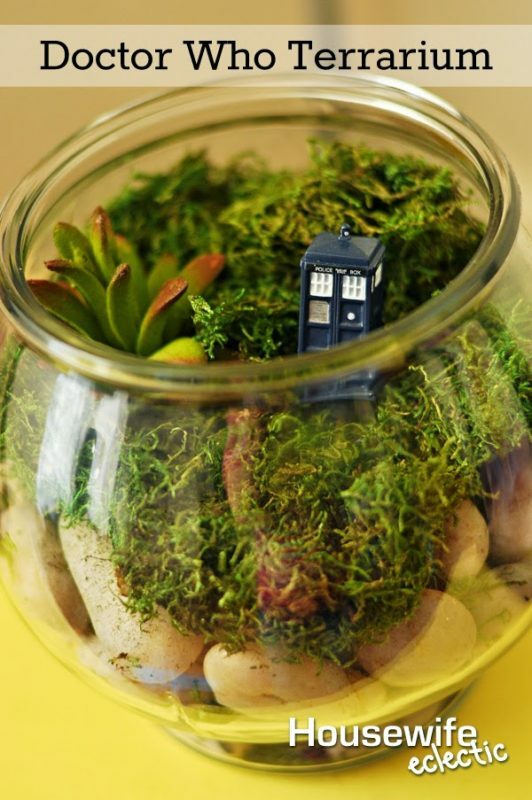 Add a touch of geek and green to your home decor with this terrarium from Housewife Eclectic. 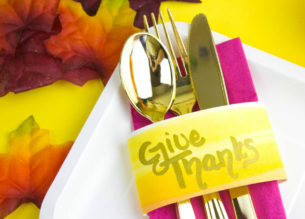 It’s just a little touch so if you just want little touches, this is a great DIY for you. Peri: Doctor, why do you wear a stick of celery in your lapel? 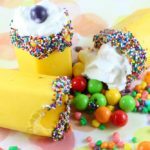 The Doctor: Does it offend you? The Doctor: Safety precaution. I’m allergic to certain gases in the praxis range of the spectrum. Peri: Well, how does the celery help? The Doctor: If the gas is present, the celery turns purple. Peri: And then what do you do? The Doctor: I eat the celery. If nothing else, I’m sure it’s good for my teeth. Spoilers! 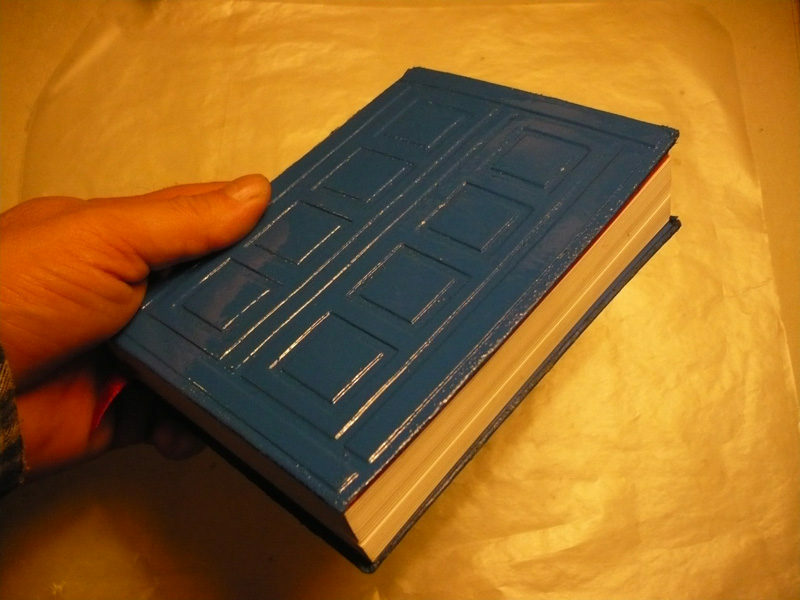 Not really, but you can write them all down in this DIY River Song notebook. 16. Make your own Guess WHO! OMG, I can’t handle the pun. Is it a pun? Anyway, why has no game company actually invented this? 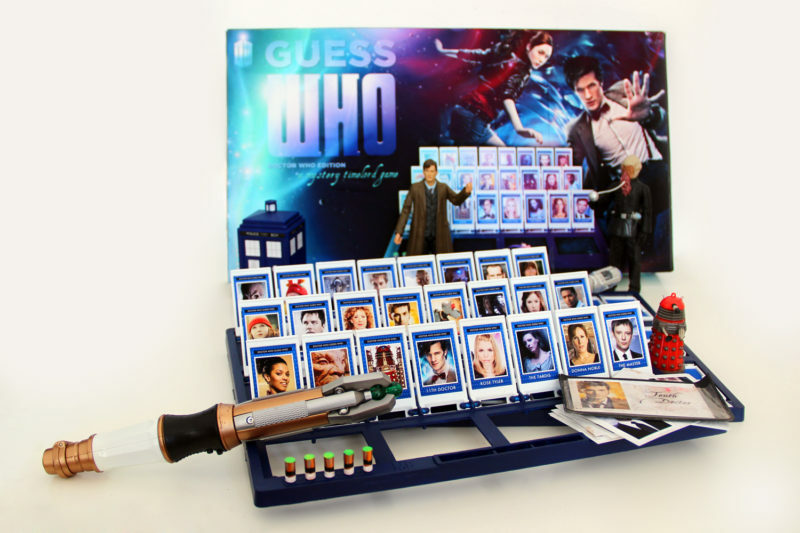 It’s like geeky gold! 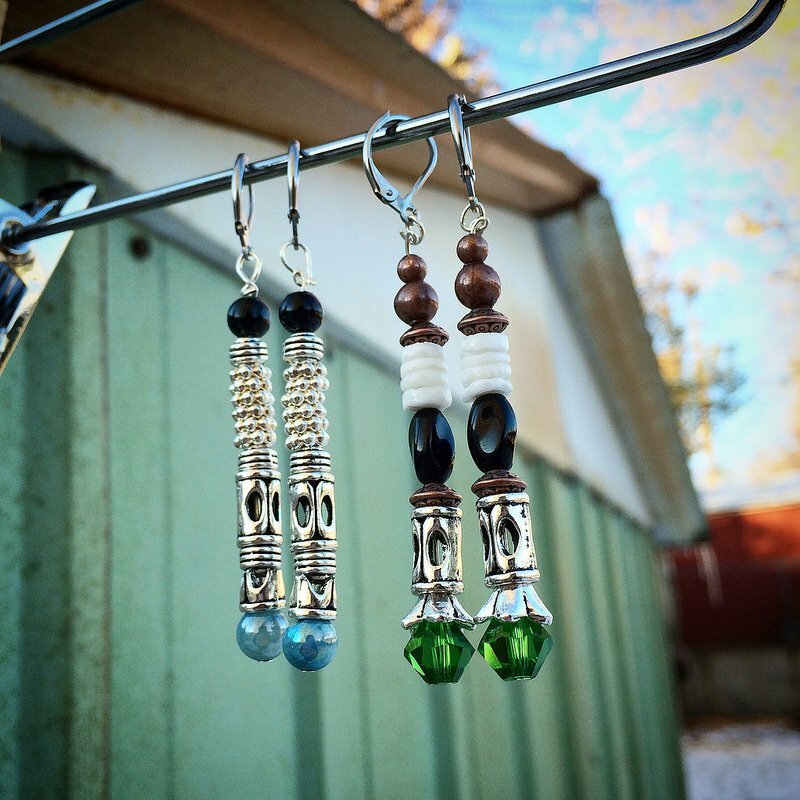 KarenKavett is a genius. 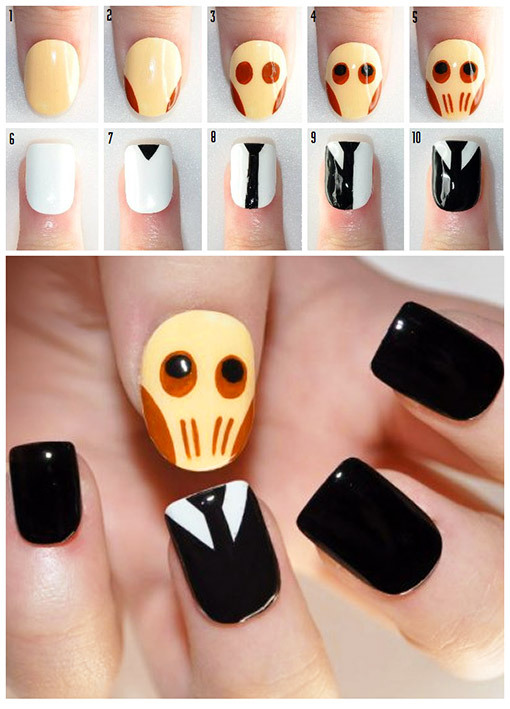 Okay, so I’m not the biggest nail art officianado, but these look pretty rad… and scary for people who know what’s up. Geronimo! Thrift store crafts are my jam, especially when they turn out this cool. Who says garlands are only for Christmas? 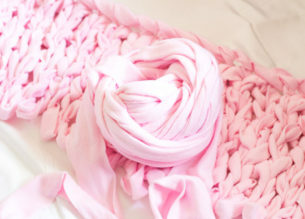 This garland from DoodleCraftBlog.com looks like a good fit for my living room no matter what season. 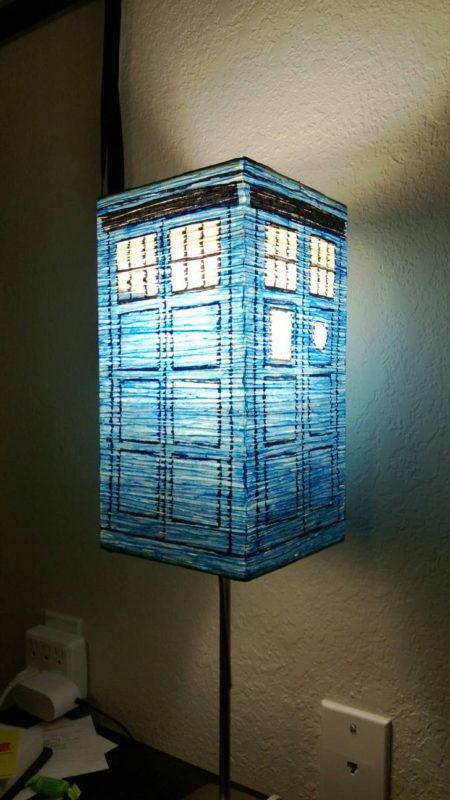 Have you ever attempted some Doctor Who Crafts? I wanna see!